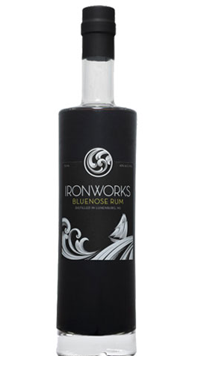 The Bluenose Dark Rum is produced using all-natural molasses from the Caribbean – imported by the Crosby Molasses Company of Saint John, New Brunswick, which unloaded its first brigantine laden with barrels of the sweet, golden-brown liquid way back in 1879. After weeks of fermentation in the cool cellar of the distillery, the molasses mixture is distilled twice, bringing it up to 160 proof. Then we seal it in bourbon barrels made from Kentucky oak and take it back down to the cellar to age.